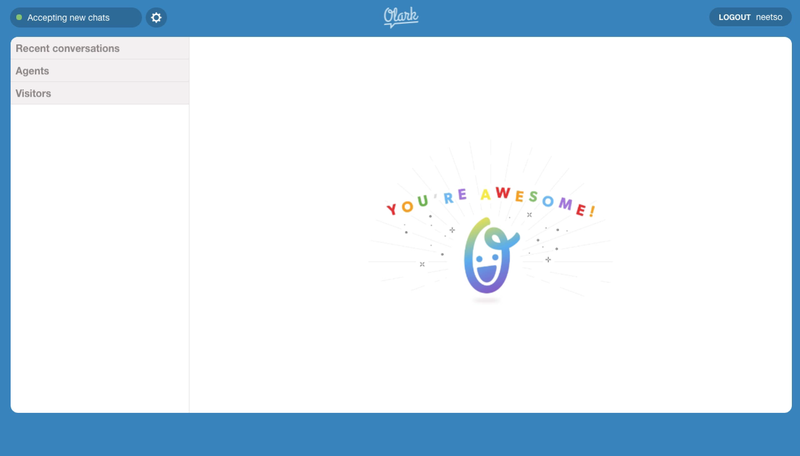 Olark's chat widget eschews some of the more flashy features associated with chat. For example, it's text only (no emojis in sight) and there are no avatars for agents. The same simple, no-nonsense approach is applied to the chat user experience for your agents. It's focussed on having effective conversations with your website visitors. 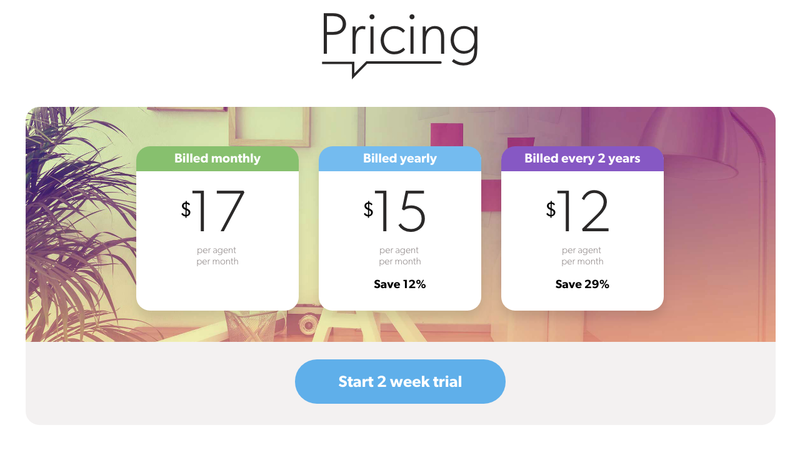 Olark's pricing is straightforward. You pay based on how many seats (or 'agents') you have. You can pay monthly and there are reductions if you sign up for longer contracts (a year, or two years). All of the features which come with the paid plans can be tried for 2 weeks. 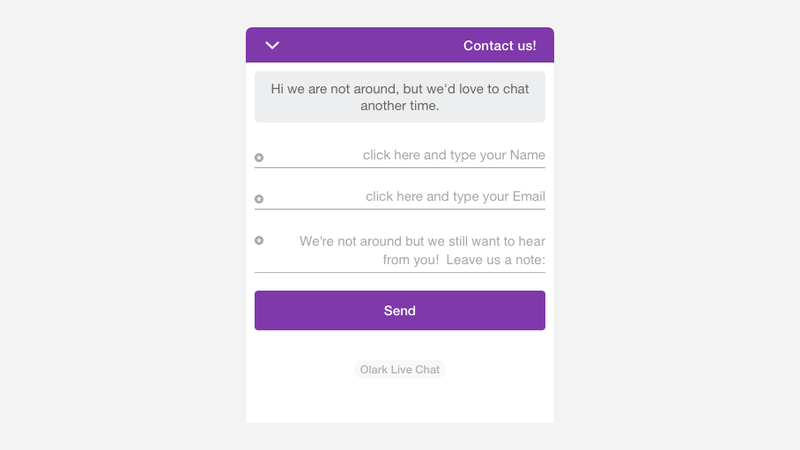 Olark offers a free plan with 1 seat which is suitable for very low-traffic websites as it is capped at 20 chats per month. 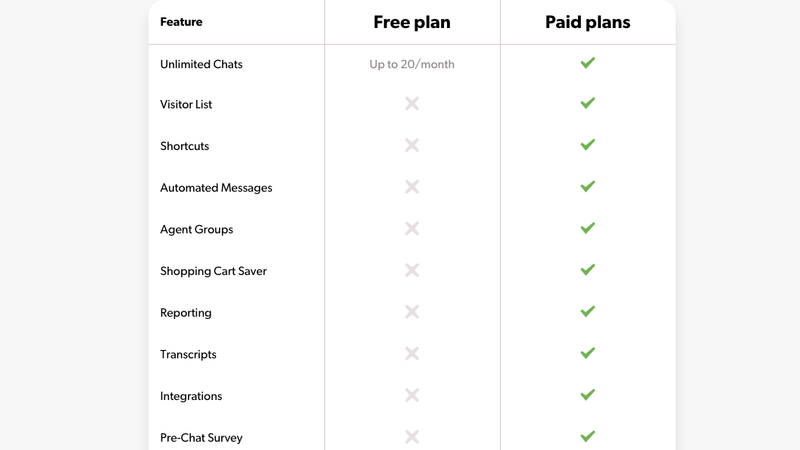 The free plan does however include the offline messaging feature which turns the chatbox into an offline email form when you are away or offline. Olark has lots of chatbox styling options including primary and secondary color, button styles and size and position. The Powered by Olark link can be removed from the chatbox for $59 per month. Visitor Profiles let agents store helpful information about visitors, which is then accessible to all agents in future chats. The default fields name, email and phone are available in the free plan. Paid plans can add up to 100 custom fields as well as visitor notes for each visitor. Has tools in place to address deletion and correction requests. 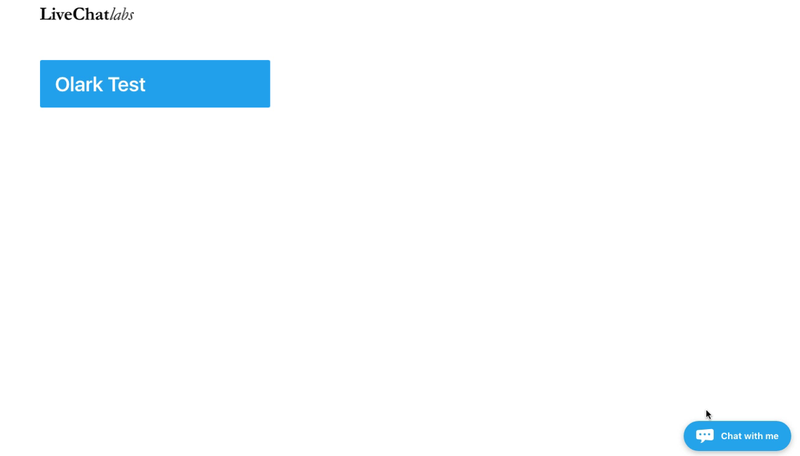 Self-certified under the EU-US Privacy Shield and the Swiss-US Privacy Shield. Data Processing Agreements in place.